More than 120 medical experts, public health departments, and drug user health advocates have called on the federal government to take more aggressive steps to deal with a wave of overdose deaths caused by heroin cut with fentanyl, an opioid pain medication 50 to 80 times stronger than heroin. The call came in an open letter to US Health and Human Services Secretary Mike Leavitt drawn up by the Harm Reduction Coalition, a national health and human rights advocacy group working to reduce drug-related harm. The ongoing epidemic -- Drug War Chronicle reported on it in June -- has killed more than 750 injection drug users this year from Chicago to the East Coast. Chicago, Detroit, and Philadelphia all have around 200 fatalities. The actual number of deaths may be far higher because many jurisdictions near these large cities may lack the resources and expertise to monitor overdose trends. 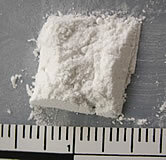 "This wave of overdose deaths poses an acute public health emergency and immediate threat to the lives of opiate users, while highlighting persistent weaknesses in health officials' response to the increasing epidemic of both legal and illegal opiate overdose," said Dr. Sharon Stancliff, medical director for the Harm Reduction Coalition. The Centers for Disease Control (CDC) create surveillance systems to monitor overdose trends and threats. The National Institute of Drug Abuse (NIDA) provide emergency funds for research projects to answer urgent questions that will allow jurisdictions to immediately and effectively address the overdose epidemic. The Substance Abuse and Mental Health Services Administration (SAMHSA) rapidly replicate existing overdose prevention programs, and fully fund them. The Drug Enforcement Administration (DEA) inform CDC of levels of purity and presence of fentanyl and other hazardous contaminants in local drug supplies so CDC can notify the public. The Department of Health and Human Services (HHS) prepare an emergency report of the current overdose epidemic for Congress. This report should make emergency recommendations for prevention measures including: Supporting community-based responses to overdose, including the use of naloxone, a legal medication that reverses opioid overdoses, by users and their loved ones; improving police and emergency medical services responses to overdoses; and enhancing the availability of substance abuse treatment. "A client told us she watched her friend die in front of her and there was nothing she could do," said Corey Davis, legal services coordinator at Prevention Point Philadelphia. "If she had naloxone and was trained to use it, she could have saved her friend's life. We've lost a lot of our people due to fentanyl. This has to stop." WFMZ-TV in Allentown, Pennsylvania, has reported another overdose from the fentanyl-laced heroin batch that is ravaging drug injecting communities in cities around the nation. Meanwhile, officials in South Jersey are trying to figure out what is causing the rash of overdoses in Vineland and are wondering if something may be contaminating the heroin supply there -- five people had to be rushed to the South Jersey Healthcare Regional Medical Center on Tuesday, according to The Press of Atlantic City. We need legalization! Heroin use can't be stopped, at least not in this way -- only a legal, regulated supply will allow for any reliable degree of control over the drug supply -- until prohibition is ended, drug users will always be at risk of this kind of often fatal harm, especially the addicted ones. It is indecent that we are subjecting these people to this kind of situation -- and it certainly means longer emergency room waits when the rest of us need the help. WMFZ-TV accepts comments here. The Press has information on submitting a letter to the editor, or a longer guest column, online here. Also click here to take action to support of a bill sponsored by Sen. Richard Durbin (D-IL) to fund overdose prevention. And click here for a Drug War Chronicle report on the heroin/fentanyl overdose outbreak. The Philadelphia News reported Monday that despite the city having seen one of its deadliest weekends, drug overdoses, particularly from a batch of heroin laced with the even more powerful opiate fentanyl are claiming even more lives. The important thing to remember is that heroin users aren't dying simply because fentanyl is more potent than heroin. They are dying because the substance they are buying on the black market is more powerful than they believe it to be -- they think they are getting heroin, or if they're not sure they crave their fix so strongly that they are willing to take the chance. The illegal drug supply is uncertain in this way, because it is illegal, and for no other reason. Among legalization's many benefits will be increased safety for users, particularly addicts, and fewer accidental deaths. Send a letter to the editor to [email protected].